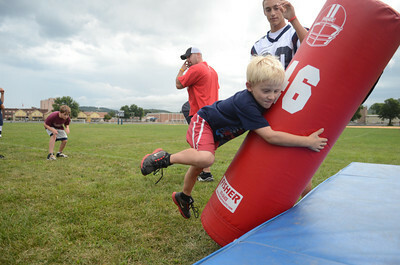 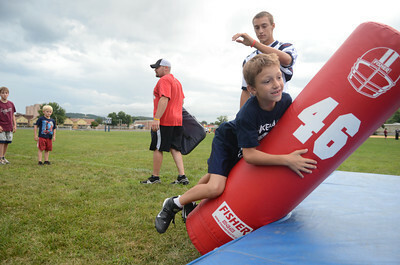 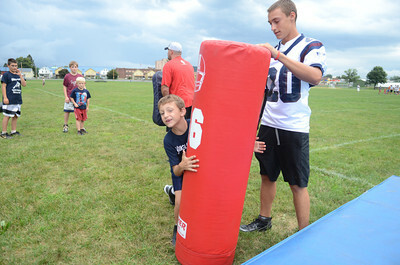 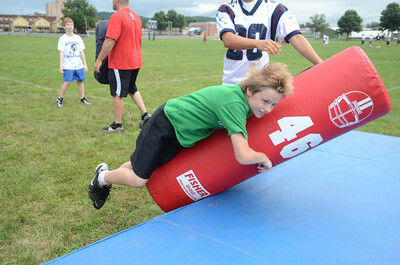 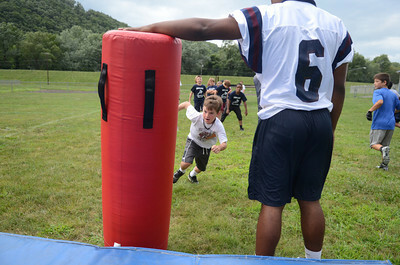 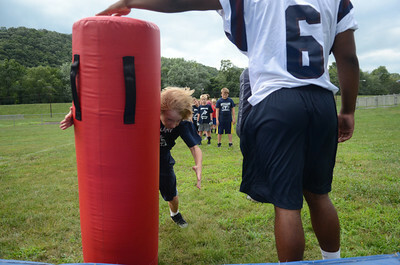 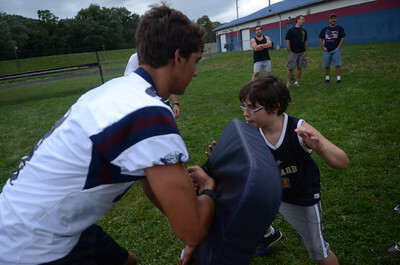 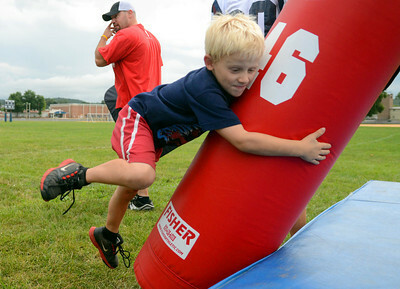 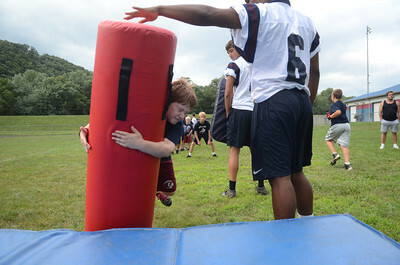 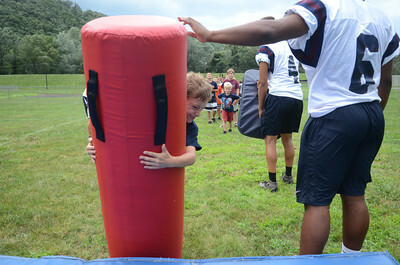 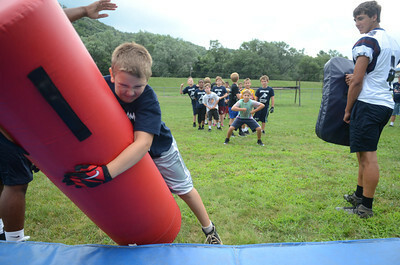 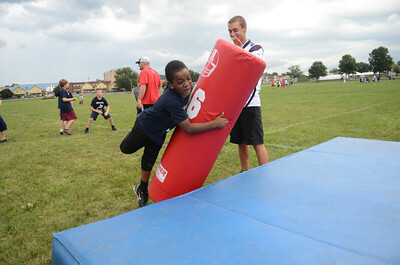 Arthur Skoff, 8, of Sunbury tackles a dummy during the Shikellamy Football Skills Camp Friday July 27, 2012 at the high school practice field. 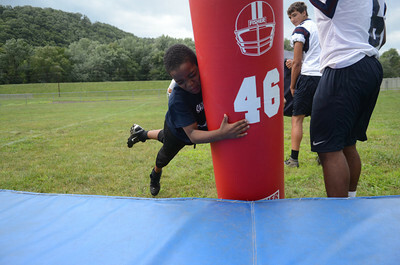 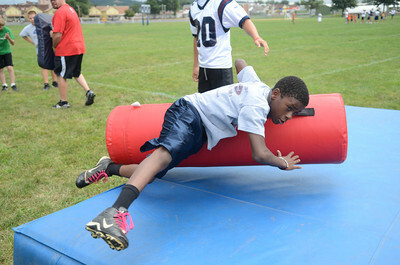 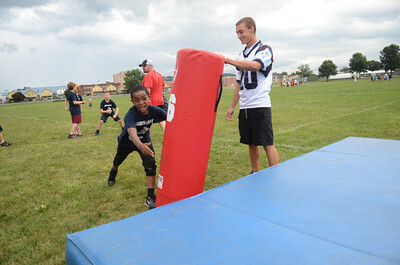 Tumaje Islam, 9, of Shamokin Township gets his game face on during the Shikellamy Youth Football Skills Camp Friday July 27, 2012. 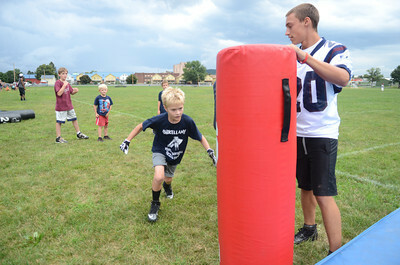 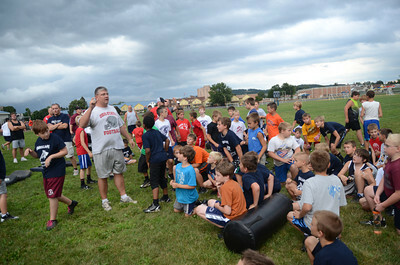 Coach Eric Shoch instructs Adam Young, 9, of Sunbury and other players during the Shikellamy Youth Football Skills camp Friday July 27, 2012.